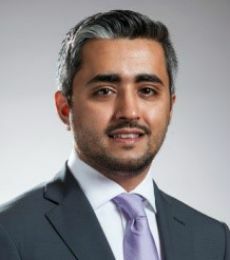 Mohammed was fairly new in his position as head of risk management for Saudi Arabia’s Jadwa Investment when he entered NYU Stern’s Master’s in Risk Management program. During the course of the year, his skill set and knowledge of his chosen field grew as he spent more time in his job—a perfect situation. “Thanks to Stern, I have already gained by being ahead of the curve in risk management, as I now have the ability to manage risk from a broad systemic and strategic perspective with a focus on enterprise-wide risk management,” he says. Jadwa, founded in 2006 and based in Riyadh, is an investment management and advisory firm. Since earning an undergraduate finance degree in 2003 from Saudi Arabia’s King Fahd University of Petroleum and Minerals and beginning his career within the so-called semi-government sector, Mohammed’s skills and horizons have steadily expanded. He moved from the industrial lending department at Saudi Industrial Development Fund to the private sector, staying more than five years at Al Rajhi Banking and Investments Group, the leading Islamic bank. There he explored corporate and investment banking, distinguishing himself by developing an innovative risk management model, policies, and procedures and earning a promotion to vice president of risk management. In the Saudi market, where most risk management executives are expatriates, Mohammed is one of the few local pioneers in the field.